Medical advances have led to dramatically improved quality of life and prognosis for people living with HIV, although there is still no effective vaccine or cure. 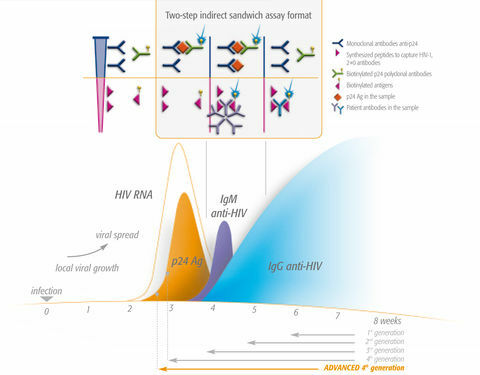 Good management of HIV is done through early detection and initiation of antiretroviral treatment (ART), along with ongoing screening to ensure the best-adapted therapies. However, access to these possibilities is not available equally to all people. That’s why expert organizations, such as the WHO, UNAIDS and the CDC, place a strategic focus on making HIV education, testing, screening and therapies accessible to all, in order to reduce the numbers of new HIV infections and improve quality of life for those living with the disease around the world. 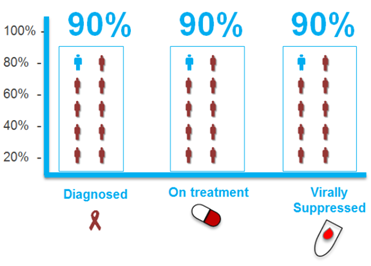 The aim of the global Diagnostics Access Initiative is to achieve the ambitious, but achievable “90-90-90 treatment target” to lay the groundwork to end the AIDS epidemic as a public health threat by 2030. 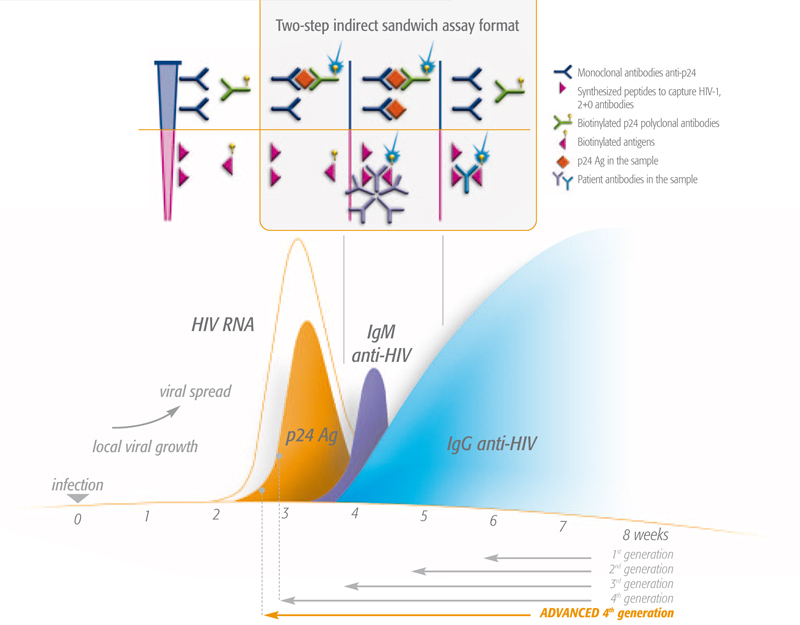 According to UNAIDS, optimizing the use of diagnostics will be critical to achieve this target. Our long experience at the forefront of the HIV/AIDS epidemic and our expertise in microbiology ensure we meet the needs of those providing frontline care as well as of public health bodies and NGOs engaged in the issue. That’s why we build a global offer that’s high-quality and takes into account the multiple facets of optimal prevention and care. We aim for flexibilty in our offer because we believe everyone has the right to HIV education, diagnosis and quality care. We are also aware that HIV/AIDS is inextricably linked to the other diseases that it leaves patients vulnerable to. Other bioMérieux product lines target many of these diseases: viral/bacterial/fungal infections, hepatitis, tuberculosis and malaria, among others. 1 Cunningham, A.; Donaghy, H.; Harman, A.; Kim, M.; Turville, S. (2010). "Manipulation of dendritic cell function by viruses". Current opinion in microbiology 13 (4): 524–529. doi:10.1016/j.mib.2010.06.002. PMID 20598938. 3 CDC. Proven Prevention Methods. June 2012.